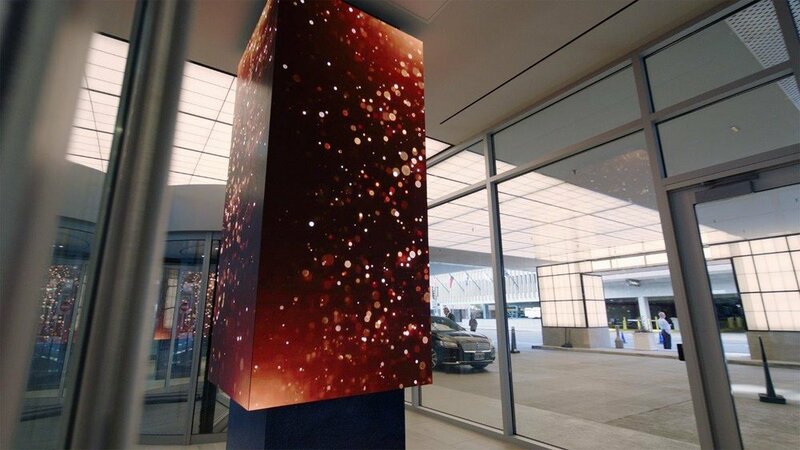 The new, state-of-the-art LED video columns at Sheraton Dallas Hotel were manufactured by SNA Displays and feature a sleek combination of art and digital video technology. 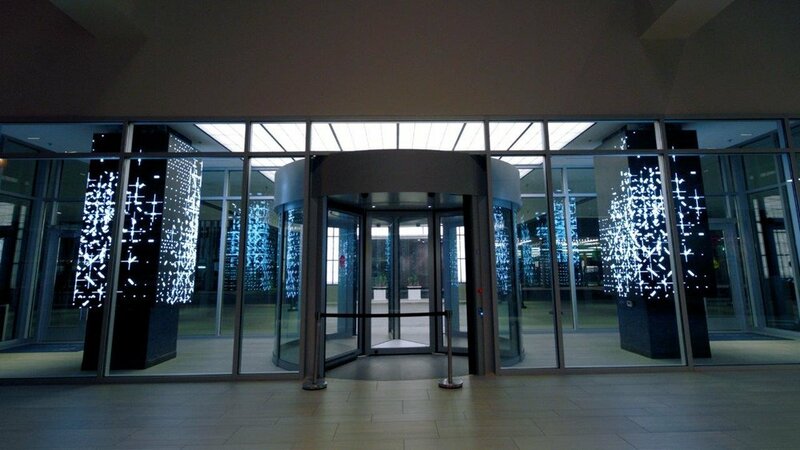 SNA Displays manufactured LED video displays that wrap around two columns at the entrance of the newly renovated Sheraton Dallas Hotel. The upgraded experience at the Marriott International property was part of a larger renovation by The Chartes Lodging Group, a San Francisco-based hotel investment and advisory firm. 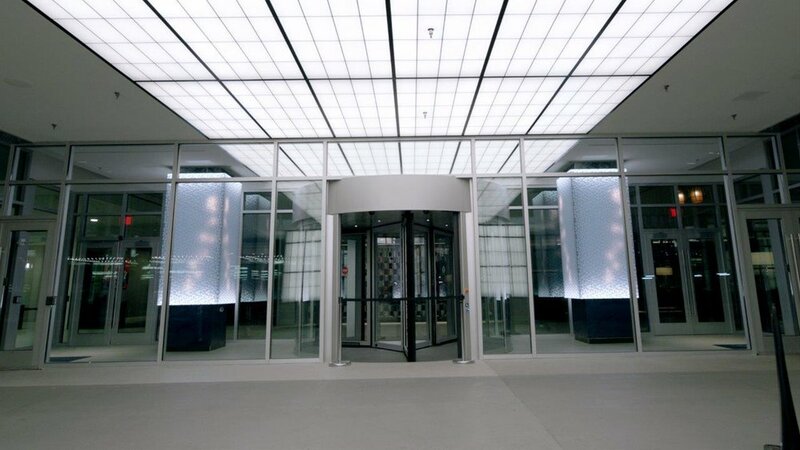 For the historic hotel’s entrance, SNA Displays manufactured 2.5 mm pixel pitch display products from its interior BOLD™ display series, meaning the distance between the center of each pixel to an adjacent pixel is only 2.5 millimeters or a tenth of an inch. 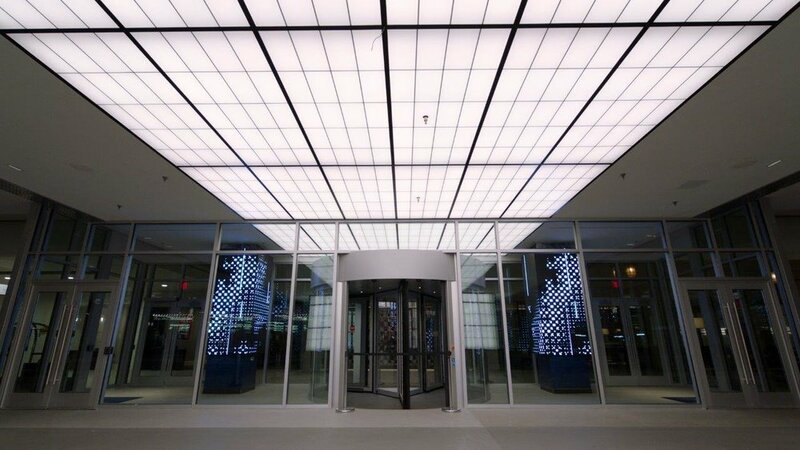 Each of the eight faces measures 8’10” high and 3’11” wide and includes 1,080 pixels by 480 pixels. The project includes more than two million pixels in total. 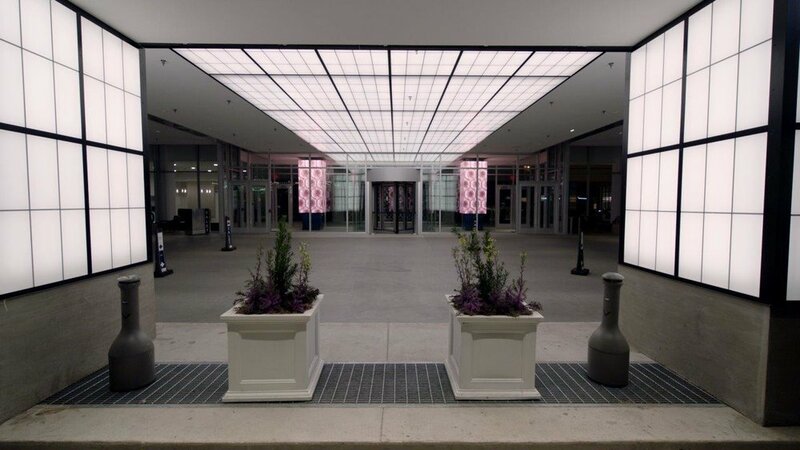 The LED columns mirror each other on either side of the Sheraton’s circle-drive entrance at 400 N. Olive St., just across the street from The International Conference and Exposition Center. 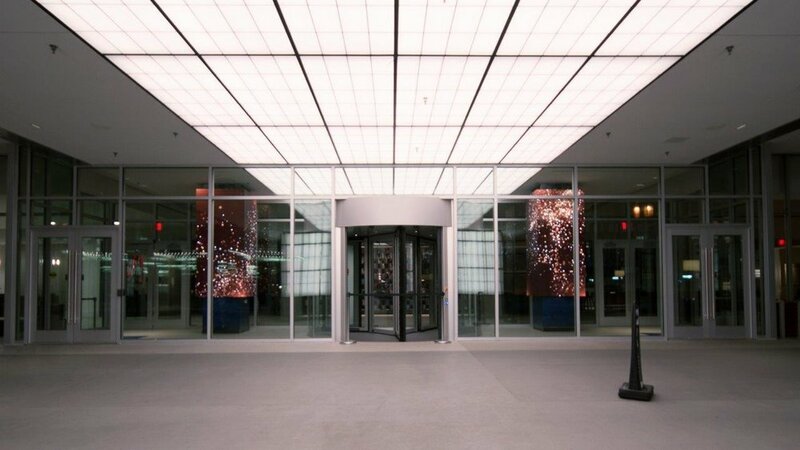 The columns are wrapped in LED display technology, and because screens are surrounded by floor-to-ceiling windows, visitors can view the art content from the street, the entrance itself, or inside the lobby. SNA Displays was part of a multi-team collaboration for the project, including Prism Electric’s Technology Division, which managed the display installation, and leftchannel, the content design studio that created the digital art piece and will be responsible for refreshing content for the new video screens. If you'd like more information about this project, contact us using the form below. 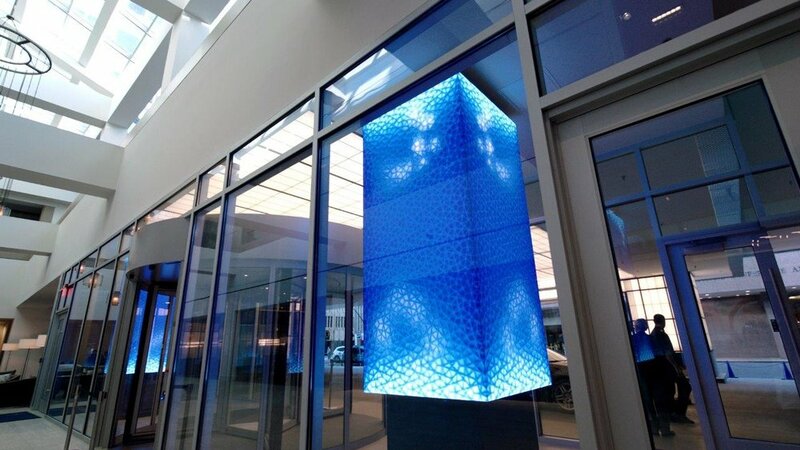 The Sheraton Dallas Hotel project is reminiscent of other SNA Displays projects featuring digital art on an LED video canvas including the huge lobby video wall at 350 Mission Street in San Francisco, which highlights jaw-dropping digital art pieces on a 6 mm interior LED display. 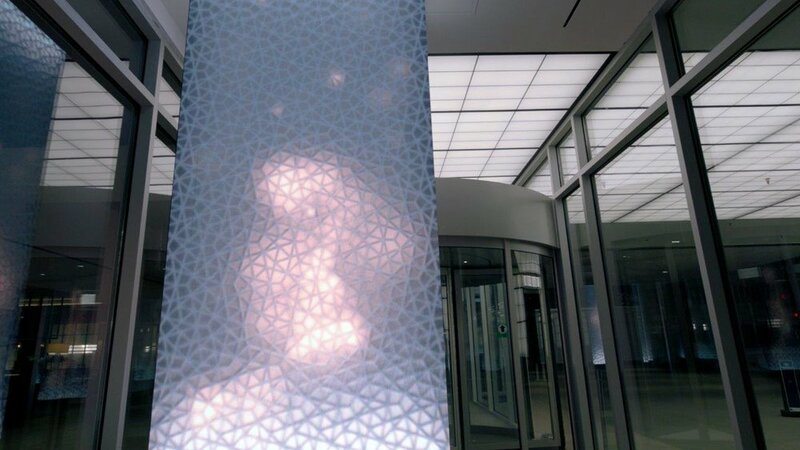 Another notable digital art installation for which SNA Displays provided video technology is “As We Are,” the LED human-head-shaped sculpture.